Flexibility is the key component of this workbench. 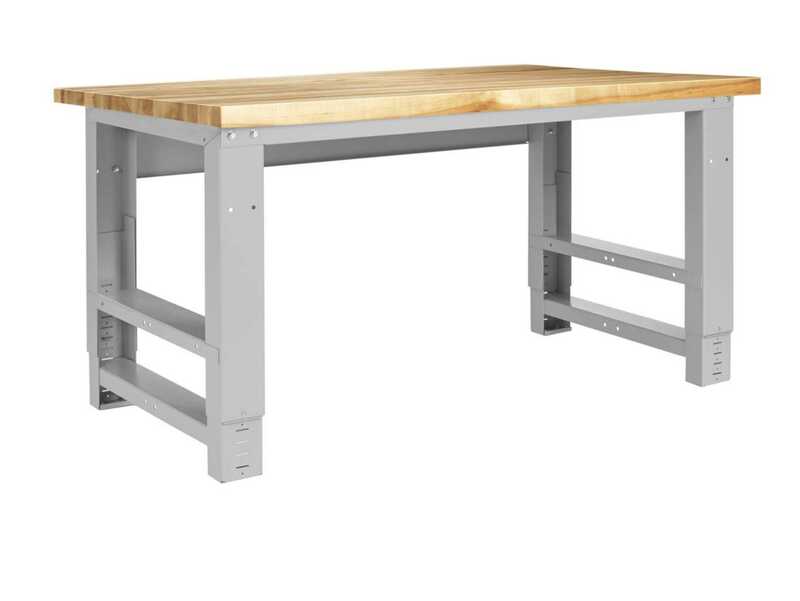 The bench is perfect for Makerspaces and Fab-Labs. It can be adjusted in height from 251/2"H to 351/2"H. Add the optional 5" locking casters and you'll add another 6" in height. The legs are 12 gauge steel and have 14 gauge stringers for strength and stability. The steel base is finished with a gray baked enamel finish. The static weight capacity is 1400 lbs. without casters and 1000 lbs with casters added, proving just what a work horse this bench is! Need storage? Add the 14 gauge 12"D shelf. Choose from a 13/4 thick maple work surface or the 11/2" thick ShopTop®. The bench is 30"D and available in three lengths: 60"W, 72"W or 96"W.